I am new to to the shaving community. 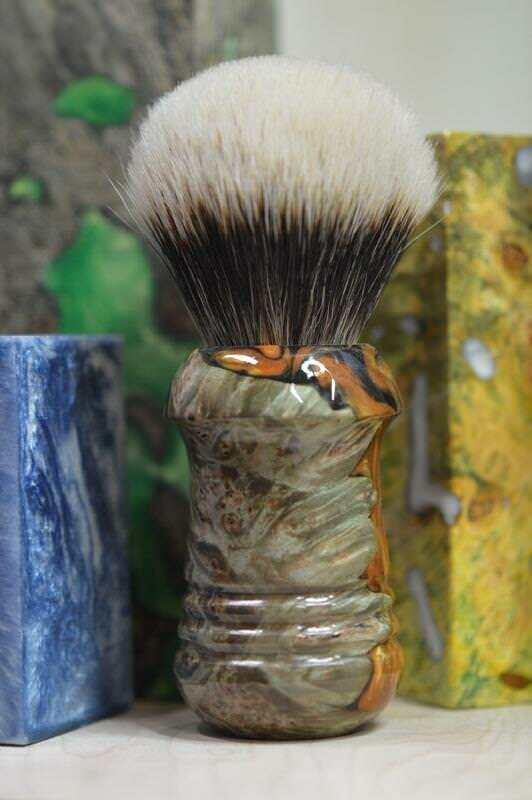 I've made only a handful of brushes and I am looking to possibly expand on this shaving addiction. Here is a brush I completed today. Big Leaf Maple Burl stabilized and cast with resin. Badger 2 band silver tip knot 26-65mm. Hi Dave and welcome to DFS. If you want to upload a photo then use the imgur icon in the full editor. Here is an explanation I did for another member. I hope it helps: https://damnfineshave.com/thread-how-to-...#pid218548. Again, welcome to Damn Fine Shave.